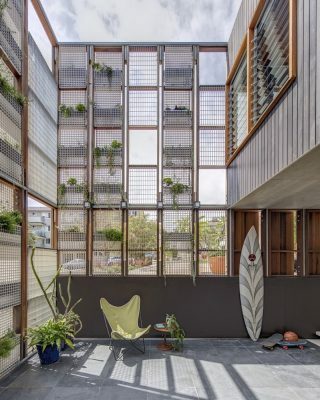 Living Screen House is a stunning single-family residence located in North Bondi, a coastal suburb of Sydney, Australia. The client’s brief was for a home which could be both a springboard for entertaining and a private family retreat. A narrow site with overlooking issues paired with a commitment to passive solar design and natural daylighting drove the form of the building. 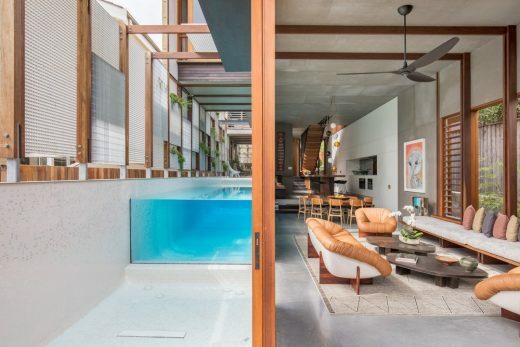 The house features a unique lap-pool abutting a double height social space which spills out into the rear barbecue area. 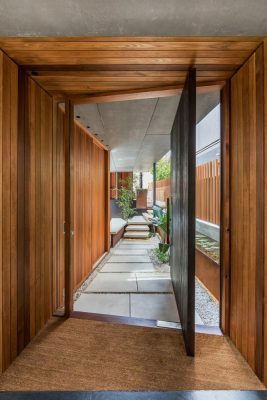 It also features fully plumbed, self-maintained, LED lit living green wall screens and custom planter beds to the front and side façades which ensure privacy from neighbours and pedestrian traffic. 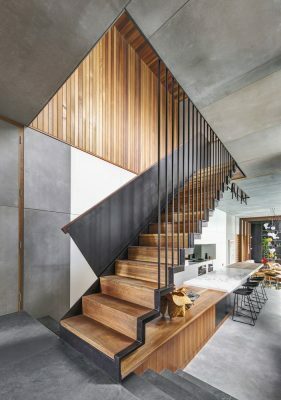 The craftsmanship of the build is elegantly revealed in the material palette, which includes unfinished cement bonded wood composite boards, burnished concrete, expressed timber, Corten facade and steel and timber columns that celebrate the structural systems in the house. 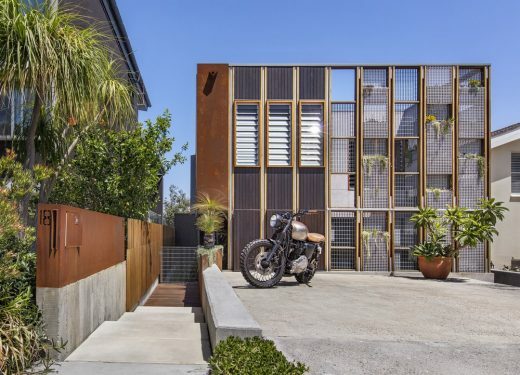 The home features predominantly raw, low embodied energy materials throughout with large rainwater storage and a massive 10KW solar system on the roof. Conceptually, the spatial planning of the house separates the social and family spaces. 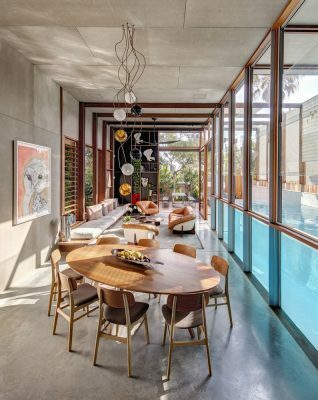 Downstairs, the interconnected kitchen, living, dining and outdoor spaces create a highly interactive and engaged site designed to accommodate large groups. 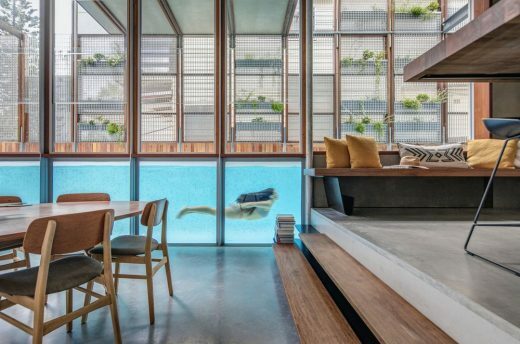 The above ground lap-pool shares a clear wall with the social spaces, acting as a visual connection between the interior and exterior spaces and refracting natural light throughout the lower level of the house. The private family retreat is located upstairs, where each bedroom enjoys an outlook onto private outdoor green space. In some cases, this is onto a vertical garden, which doubles as a privacy screen from neighbours.